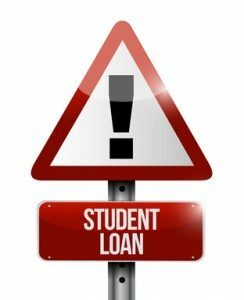 The government has recently announced new plans to sell off £4 billion worth of student loans – which were issued to students in England between 2002 and 2006 – to a buyer in the private sector. What impact could this have on today’s graduates? The modern system of government-backed student loans has existed in England under a variety of different forms since it was introduced by the Thatcher government in 1989, but – despite the privatisation of the student loan book being a longstanding policy priority for the Conservatives – so far it is only loans that were issued before 1998 which have been sold off. The government’s recent announcement suggests that this is now about to change, with the sell-off of the tranche of student loans which were issued between 2002 and 2006 expected to represent just the first wave of a gradual sell-off of all the student loans that were issued prior to 2012 (when fees costing £9,000 per year were first introduced). However, despite the government’s reassurances, the prospect of such a sale creates considerable uncertainty for graduates who hold one of these loans. This is for two reasons. Firstly, as an article written for the website Money Saving Expert pointed out, the record of how borrowers of the pre-1998 student loans have been treated is far from encouraging: the company that purchased them, Erudio Student Loans, has been blamed for a catalogue of mistakes including sending the wrong information to graduates and mistakenly taking money out of the accounts of those who were earning less than the minimum salary threshold for repayments to be made. The government has attempted to reassure Money Saving Expert that they will pay special attention to avoiding such errors this time around, but it remains to be seen whether they will succeed. (4) Amendments of loan regulations may have effect in respect of transferred loans. (5) Subsection (4) includes amendments which have effect in respect of loans made before the amendments are made. (6) But in amending loan regulations the Secretary of State shall aim to ensure that no borrower whose loan is transferred is in a worse position, as the result of the amendment, than would have been the case had the loan not been transferred. This section of the Act clearly confers upon a purchaser the power to alter retrospectively the terms of loans that have already been issued. The key phrase here is “shall aim to ensure”, which is obviously less stringent than it would be if it said “will ensure”, for example. Given that the government has already reneged upon the original terms of the post-2012 loans, you could forgive graduates if they don’t have too much confidence.